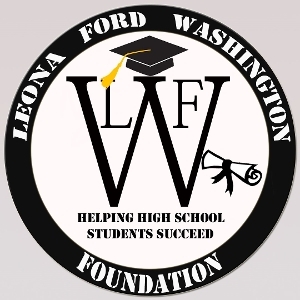 The LFW Foundation, founded by Valerie Geason, is an independent, educational non-profit created in honor of Leona Ford Washington who was an educator for over 39 years in El Paso, Texas. Our Vision is to assist students to achieve and complete high school within the public education sector and clearly define the options available after successfully completing high school. The LFW Foundation, was created to enhance and impart knowledge to under privileged youth (14-18 years of age) about the importance of a high school education and the varied options available after successfully completing high school (two & four year college, vocational, trade, military and employment) thereby, assisting the school system in reducing the high school dropout rate. With your donation and/or purchase you are helping us help others!